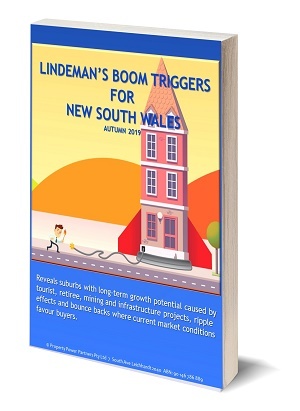 View cart “Lindeman’s Boom Triggers for NSW Autumn 2019” has been added to your cart. Perfect for investors seeking property investments likely to outperform the market over typical buy and hold periods of up to ten years. Lindeman’s Boom Triggers reports reveal suburbs with long-term growth potential caused by tourist, retiree, mining and infrastructure projects, ripple and bounce back effects where current market conditions favour buyers. 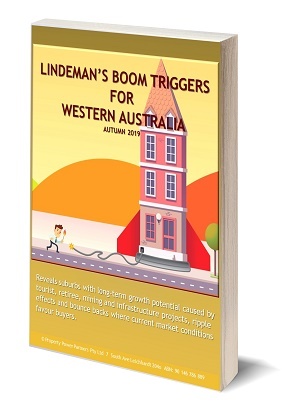 Your report is instantly delivered as a pdf to your inbox on receipt of payment.